Seahouses Lifeboat Call Out Notification – Delayed update. At 12:20hrs on Wednesday 10 June 2015 Humber Coastguard requested the launch of both Seahouses Lifeboats to the report of a female who had fallen on Staple Island which is one of the Farne Islands. 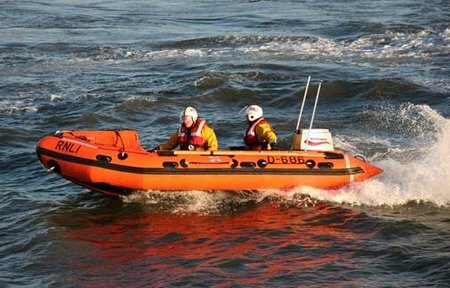 Seahouses Inshore Lifeboat “Peter Downes” was first on scene and the crew administered medical assistance to the casualty, who had suffered a number of injuries. All RNLI Crews are trained as Casualty Care Medics. Helicopters cannot fly over the Farne Islands, as they could risk a bird strike, which could bring down the aircraft. The casualty was stabilised, and a neck brace applied. She was the placed in a stretcher, and carried to the All Weather Lifeboat “Grace Darling” which had arrived on scene. 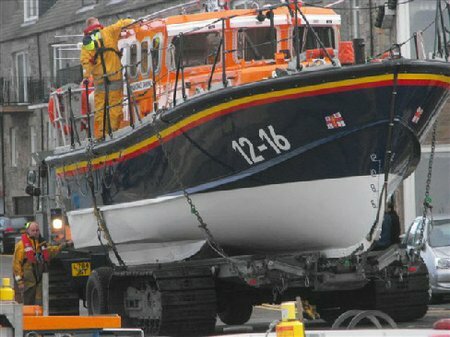 She was then transported by the lifeboat back to Seahouses, while being monitored by the lifeboat crew. On arrival at Seahouses the casualty was handed into the care of local Coastguards and a Paramedic. Both lifeboats then returned to station. At 1400hrs that day, as the lifeboats were being recovered to station, Humber Coastguard requested the launch of Seahouses Inshore Lifeboat to the report of a female who had fallen from a horse on the beach near to Monks House, just north of Seahouses. The Inshore Lifeboat “Peter Downes” attended the scene and the crew found themselves using their casualty care training for a second time that day. The crew carried out an assessment of the casualty, while local Coastguards and a Paramedic also attended the scene. At the request of Humber Coastguard, Seahouses All Weather Lifeboat “Grace Darling”, which was on its carriage at the launch slip at Seahouses harbour, was requested also to attend in case the casualty was to be removed from the beach by sea. However, the Paramedic in attendance decided that this was not suitable due to the nature of the casualties injuries. The Inshore Lifeboat crew remained with the casualty until an Air Ambulance transported the casualty to hospital. The All Weather Lifeboat stood by close offshore in case any further assistance was needed. Once the casualty was airlifted from the beach, both lifeboats were released to return to station.